Alasdair Gilbride, a natural son of the Duke of Kent (who will soon become the father of the future Queen Victoria), has been avoiding his responsibilities as heir to a Scottish earldom (through his deceased mother) for the past ten years by serving his country as a spy during the war with France. The war is over, his grandfather is ailing, and he no longer has any excuse for avoiding his dilemma—an unwanted betrothal to his cousin. 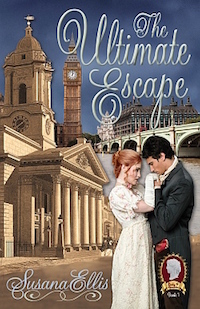 At the same time, Eden Whitney finds herself needing to get out of Town for awhile. The last thing she wants to do is spend the winter in a cold castle in Scotland, but her mother insists they accept Captain Gilbride’s offer. 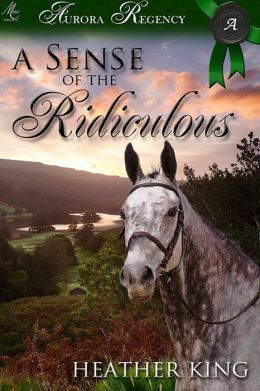 Edie and Gilbride have always had a bickering sort of relationship, but the closer they get to the frozen tundra that Scotland is presumed to be, the more her feelings for him begin to melt her antagonism. 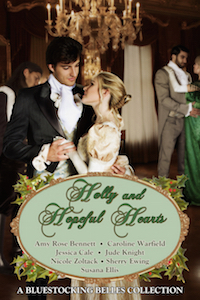 But family honor demands that he marry another… even if breaks her heart. Like the rest of the Renegade Royals, Alasdair harbors his share of guilt and shame for being the “cuckoo in the nest,” even though he was the innocent party, and even though he does legitimately carry the blood of the earl his grandfather, through his mother. Eventually that’s what causes him to abandon the family and seek honor through service to his country. But does that mean he can get away with breaking a betrothal and wreaking havoc in the clan without a pang of conscience? The relationship between Alec and Eden was amusing to watch, as it was easy to see how they felt about each other even before they could admit it to themselves. Mrs. Whitney took a bit longer to warm up to, but even she proved to be a worthy opponent to the crotchety old earl. 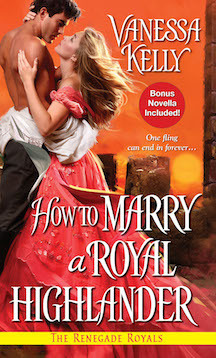 How to Marry a Royal Highlander was a truly enjoyable read, and I highly recommend it—whether or not you’ve read any of the other books in the series. 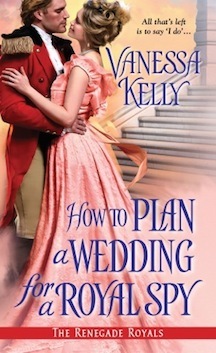 When she’s not dreaming up plots for her next Regency historical novel, Vanessa is writing USA Today Bestselling contemporary romance with her husband under the pen name of V.K. Sykes. 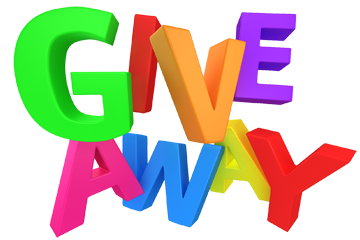 The first book in their forthcoming Seashell Bay Series will be released by Grand Central in February, 2015. 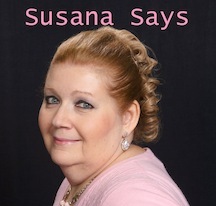 You can find Vanessa at www.vanessakellyauthor.com or at www.vksykes.com. 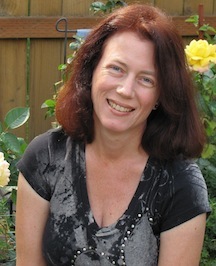 She’s also a member of The Jaunty Quills, a group of bestselling authors like Kristan Higgins, Shana Galen, and Jesse Hayworth. You can visit The Jaunty Quills at www.jauntyquills.com. I hope this finds you well, though I cannot imagine you any other way. Illness would never dare corner the dowager Countess of Hartfield. I have only just left Edinburgh and I am afraid I will not be returning directly to Remington Chase. My good friend Robert has entrusted me with an errand I could not refuse. Rest assured that I have already written my assistant with detailed instructions for the stewardship of the estate in my absence. I know that by now you are consumed with curiosity as to where I am going and what I am to do for Robert. I must admit I am hesitant to tell you the former and unable to tell you the latter. I can see the frown creasing your forehead. Very well. I will confess that I am to attend Lord Bruton’s house party next week. I do hope that tidbit has not sent you into an apoplectic fit. I very much doubt it, as you are made of sterner stuff. Anyway, please know that I intend, as always, to uphold the dignity and rectitude of the Drake name even though I am sure to be surrounded by licentiousness and debauchery. And lovely young women who care not the least bit about propriety and modesty. Surely it wouldn’t be too depraved to entertain one of them for I will refrain from any and all unworthy thoughts and keep my mind focused on the task at hand. I apologize for not being more forthcoming about that task, but I have promised Robert complete confidentiality. As a newcomer to Lord Bruton’s scandalous house party, Hugh Drake was to choose first. He would select the woman whose eyes and body excited him most, whose lips and tongue would do all of the things he had been told a true lady never did. He would select a woman who would need all he wanted to give—and less. He would choose she who showed him both strength and desperation, and who would be the answer to his secret mission. 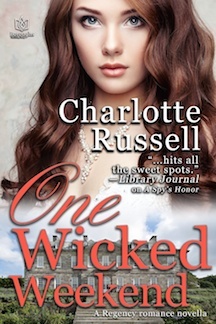 He would choose an angel and a temptress, a protégé and a partner. He would choose his future wife. In so many of these stories, a heroine with a past seems to feel the need to live like a nun and forego a normal life, even when she was the victim. This story is the antithesis of that. Although Catherine has been victimized, she refuses to behave as a victim.This unusually strong female first intrigues Hugh and then makes him realize that he needs some liberating of his own. The fun thing about co-writing is that you can come up with an idea, lob it through the ether at your writing partner and watch as she takes off with it. This is the case with the orangery in A Christmas Scheme. If I could show you my message feed with my lovely co-author, Vivien Jackson, it might make you wonder how we managed to craft an entire story with the crazy amount of idea lobbing going on. It was kind of like a fun snow ball fight. One of those ideas stuck. And, it was after we agreed on incorporating an orangery into the story that I had to actually figure out what it was beyond what I had read a long time ago in a Stephanie Laurens’ Bar Cynster novel. There are a few interesting facts about orangeries that I found out in my research. They started in the 1600’s but became popular throughout Britain and France during the 17thcentury. Originally, they were buildings made from rudimentary supports like wooden beams and heated stoves but by the height of their incorporation in the English manor, they became architectural masterpieces with heating vents and glass-paned windows. Some famous orangeries are still around today like at Versailles in France and Kew House in England. One of the benefits of an orangery was that it continuously offered a plethora of fruits, especially those citrus fruits that would not normally grow in the frigid temperatures of an English winter. And, that fact worked nicely for our Christmas story. At first, the orangery only had one purpose in A Christmas Scheme: the oranges. However, as the story unfolded, it turned out that this orangery was used for far more than just growing trees through the winter cold. Vivien incorporated the orangery in Doctor Avery’s medical practice. And, I went with that and added a use for his lovely bride, Caroline. As the story continued on, we found that the orangery became a bigger aspect throughout the plot. There is a pivotal scene between Kiran and Kate in the orangery. And, though it is snowing outside and Christmas is nigh, there is a warm fire burning within the orangery, keeping things summery and tepid. It is a place of escape, a place of solitude, a place of secrets. And, a place to grow oranges. I’m so glad that I lobbed that idea to Vivien and that she ran with it. So, join Miss Kate Avery and Kiran in the orangery at White Withering. There might even be a few schemes in there, too. Sequel to A Christmas Caroline, but you don’t have to read the prequel first! 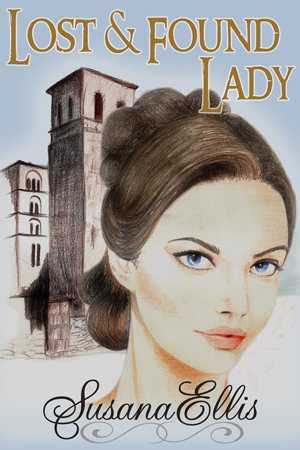 With her brother’s recent marriage to the daughter of an earl, Kate Avery is no longer needed to keep his house or look after their younger sister. She’s free. But for what? Secretly she wishes for purpose and adventure, but finding it seems unlikely. 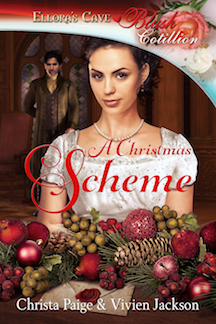 Then her brother arrives home from London just in time for Christmas…with an exotic and mysterious visitor. A displaced Bengali lord, Kiran now serves the British Crown in a covert capacity. He’s been charged to deliver a secret message to the Earl of Withering at his country estate. 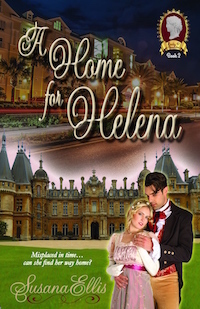 He feels out of place in this very English home and is eager to leave until he meets Kate, who shares his desire for adventure. Kate and Kiran must choose between the loyalties they have long held and the unexpected affection that blooms between them. Kate Avery crested a high point on the lane at White Withering, the grand country estate belonging to her brother’s new father-in-law, and turned in a slow circle to observe the white-cloaked park and grounds. Drat winter. Drat the country. Drat Christmas. If there was an exact opposite of joy, she was feeling it today. A crusty scab of snow lingered from this morning, and if the leaden clouds were any indication, more bad weather was soon to come. It never snowed so unseasonably early in London. The hem of her sturdy woolen pelisse was soaked and her head felt blown up tighter than a hot-air balloon. Hydrocephalus, her brother Samuel would worry, and give her a tincture and put her to bed. Sometimes it was a burden having a physician for a brother, especially one who was so fond of her. Thank heaven he was away in town and wasn’t expected home for another two days. He had promised Lady Caroline he would return home for the whole of Christmastide. This season was special for them; last year during the holiday had seen them wed.
For Kate, her brother’s professional obligations in town presented her with something of a reprieve. By the time he returned, her nose ought to be quite sorted. And she would have her sister Virginia in hand. For the last several months, since they’d moved to the country with Samuel and his Lady Caroline, nine-year-old Virginia had been playing truant of her studies. Ladies do not learn mathematics, the child would say. Ladies learn forte-piano. And Kate would hide her handed-down cyphering tables and bite her tongue. Adjusting from making do in their modest house on Dean Street, appropriate for a young physician and his family, to the opulence of Lady Caroline’s world had been difficult for Kate. Not so for her sister, apparently. Virginia had taken to grandness like the Queen to tea. Worse, the Earl of Withering, Lady Caroline’s curmudgeon of a father, encouraged such behavior. Virginia always had been special, the youngest of the Avery siblings, an unexpected baby, the one Papa called a bonus. Kate had promised her dying mother that she would care for her wee sister, and by God she planned to do just that. Only…what if she had indeed been teaching Virginia the absolute wrong things all these years? After all, Kate herself had no formal instruction and no notion really what ladies ought to know. What if the earl and Lady Caroline had the right of it, and Virginia required more ladylike accomplishments, not Latin verbs? Kate swiped the handkerchief once more over her face, then tucked it in her pocket, turning her head toward a copse nearby, a barrier between the lane and the formal gardens. On the thin winter wind she thought she caught voices coming from that direction, one tinny and childish. She squinted past the lace of bare branches. It took her not five moments to locate the wispish figure of her sister, flitting amongst the trees, bundled up like an overstuffed doll and singing some melody at the top of her voice. Kate gathered breath to call after the child. But in the next instant she swallowed her shout. Choked on it. 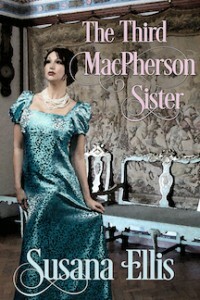 Following a short distance behind the child was Miss Blackthorne, Virginia’s new governess. New as of last week. Kate dropped her hand. Lady Caroline had hired this governess, and her references were impeccable. She even taught deportment and watercolor. They had been in the orangery this morning, coddling saplings, and in the music room in the afternoon, chiming scales. And now here they were, the child and her teacher, heedless of the cold or gathering twilight, moving apace, and casually. Virginia’s voice came clear again, and Kate realized she was singing a song…in French. Her sister was speaking French . Was skipping through the country woods of White Withering, in the company of her hired servant, confidently intoning—with some occasional comment on the pronunciation from Miss Blackthorne—the sounds Kate had only ever dared to read and never to speak. “Oh, Mama,” Kate murmured, “I would you could see this.” Truth was, Virginia was growing into a fine young lady. And quite, quite without her sister’s help. The governess and her charge passed the slight hill Kate stood upon, bound for the house, without a pause in their song or a glance to the side. A sneeze bristled the inside of Kate’s nose, but she swallowed savagely and the urge went away. Blinking the odd brightness of the snow-clad twilight from her eyes, she began back the way she had come. Back toward the great looming house and her unnervingly aristocratic, if generous, sister-in-law and…what else? How would she now fill this evening, or tomorrow? 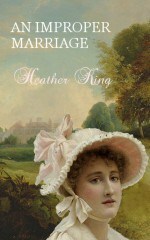 Virginia might be learning how a lady ought to occupy her time, but Kate flailed. Lady Caroline spent whole days in letter writing, riding her horse, visiting around the neighborhood, and tending her hothouse flowers. Did she expect Kate to amuse herself in similar pursuits? The thought was soul-blanching. Kate was more used to sorting household accounts, reading bits of broadsides her brother picked up at the coffee shops, and making certain Virginia adhered to a schedule and lessons. If those were no longer appropriate tasks for her, she needed…something. Adventure. Excitement. A place in the world. A purpose. She stifled a sneeze against her sleeve. She had heretofore found that purpose in helping others—quizzing her brother in his studies before he went off to school, helping her mother when Virginia was born, and then taking over care of the child after Mama succumbed. If Kate was not required to supervise Virginia now, what else was she good for? A sound swept over the park. Such noise, which layered every moment in London, was alien out here in the country, unusual enough that she turned toward it. The carriage was not beyond the park, as she had supposed. It turned onto the lane even as she watched, flashing the crest of the Earl of Withering. It lumbered a bit, the coachman taking his horses gingerly over fresh ice, but clearly it was coming here to White Withering. Her brother had returned early from London! Eager to hurry back to the house before Samuel arrived, Kate picked up the hem of her pelisse and started down the hill, but a movement in the carriage arrested her momentarily. A shape leaned out the narrow window. A head. Even from this distance she could discern that it was dark. Unusually so and quite exotic. He looked straight at her. Goodness. Of a certainty not her brother. Kate’s breath caught up with the prickle in her throat, and for a heartbeat she could not breathe. She paused, strangling the mass of wool in her fist. Who was this stranger? And why had Samuel brought him to White Withering, just in time for Christmas and with no warning whatsoever? Even were this guest quite common to look at—and Lord help her, he was not—the Earl of Withering, master still of this estate, would very well want to know about him. Kate decided to bypass the imposing stone portico and divided stairs at the front and enter the house via the garden instead. She needed to locate the earl before meeting Sam and his guest on the steps. As purposes went, relaying information to the earl was a simple one, but at least she had a reason to go back into that house. 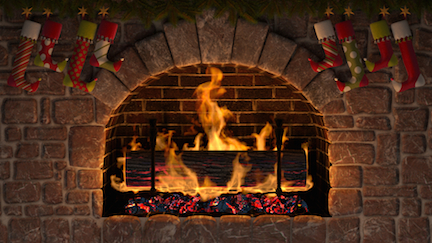 Exciting things always seem to happen at Christmas at the White Withering estate. Last year, when Lady Caroline decided to make her father’s last Christmas a memorable one, she found her match. And this year, the earl is still around, and an unusual guest turns up to make her sister-in-law Kate Avery’s Christmas a special one. 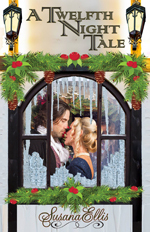 Add to that an insightful old earl, an impish little sister, and an unexpected episode in an orangery and you have a lovely tale of two lovers finding each other through the magic power of Christmas. On our own, we write paranormal and sci-fi and fantasy and hot cops. Together, it’s all about the cravats and Hessians. Polished, of course.